A photojournalist travels to China with the hopes of finding out who the mysterious man was who was photographed standing defiantly in front of a tank in Tiananmen Square twenty years ago. 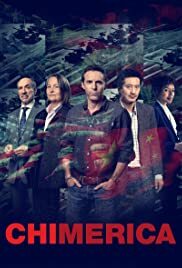 If you're trying to tell a story happened in China, the first and most importtant thing to let us believe is that people in the film are actually speaking PROPER Chinese. I've only saw the 1st episode and many of the "Chinese people" in it are speaking some what really weired "Chinese". I won't say they are not Chinese, but at least I know they are not born or grew up in China, since they are speaking Chinese as if they were speaking some language I usually seen when people from USA or UK or whereever that don't speak Chinese. If this show is only intended for you westerners, I'd say it's just what you think and you are trying to let others believe what you think. It's not necesaily the truth and real things happened in history. However, If you clainm you're you are revealing something or telling the truth to the world, including people in China, save it. At least first find someone who speaks REAL Chinese, not some ABC(American born Chinses) or whereever-not-China born Chinese who are speaking I-donnot-know-why-their-accent-is-so-strange Chinese. Even a 5yr old Chinese won't believe these actors in the films are Chinese if they hear them speak the language YOu think is Chinese.